Each year students and amateur designers across Texas submit portfolios to the Heart House Emerging Designer Contest. Stephanie Montes, a senior in the fashion design program, was chosen to be one of the two up and coming designers for the event. 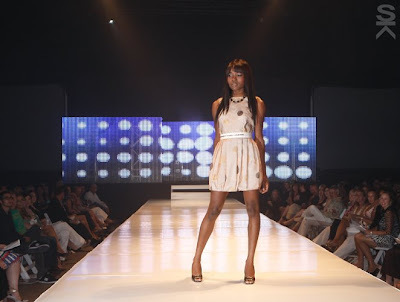 The annual fashion show was held at Austin Music Hall, Austin, TX on August 23, 2008. Photos of her collection which included 15 ensembles and an auction item. The event raised $80,000 to support the expansion of Heart House afterschool centers, where children receive a free, safe and academically focused afterschool program. 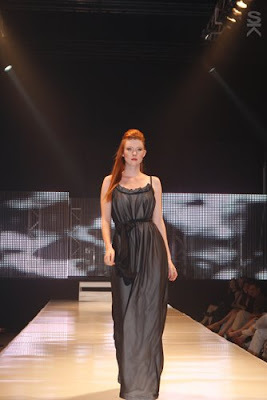 With an audience of 600 attendees, and a tremendous media sponsorship engagement with Austin Monthly Magazine that sponsored the VIP after party, the event was called the premier fashion show of the season.